What is an electric fence’s critical success factor? The answer to this is, of course, its electric voltage. For this reason it is important to use test devices and control units to check the voltage of the electric fence system. Not only is it useful to know at all times how much electricity is flowing through the electric fence, but measuring the fence voltage is actually also mandatory. Complete safety and functional efficiency can only be ensured if the conducting material is supplied with the specified voltage throughout the entire electric fence system. If the electric fence voltage is too low, when an animal touches the fence, the electric shock may be too weak. In serious cases, this could mean that the animal breaks through or damages the fence. Alternatively, wild animals could get inside the enclosure and injure or kill the animals within. 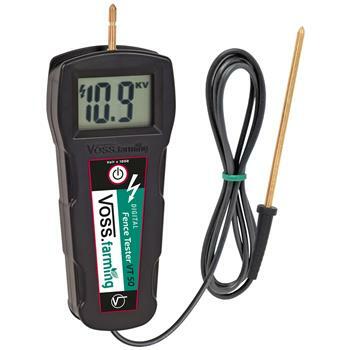 In addition, legally speaking, maximum values which must not be exceeded have been specified for electric fence voltages. Therefore it is essential that the fence owner checks the voltage of his electric fence regularly each day. Finally, it may be the case that a damaged energiser or dense vegetation prevent the fence from being adequately supplied with electricity. 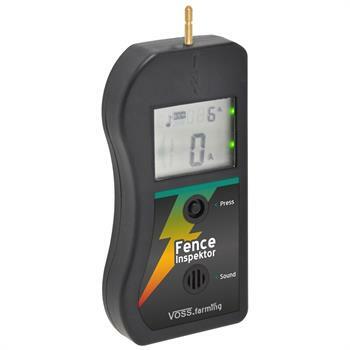 Fence test devices are available for checking this. 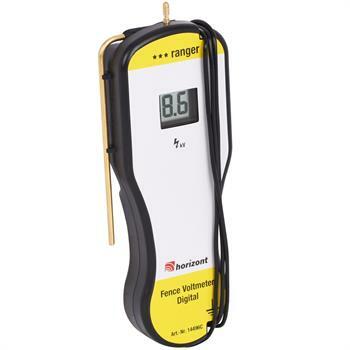 A fence tester is used to measure the fence voltage. 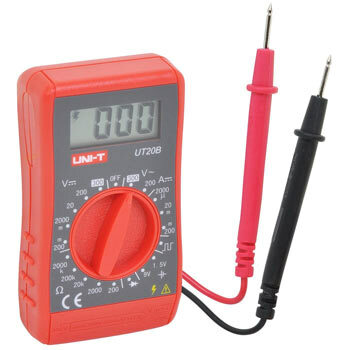 A digital display and / or LEDs immediately indicate whether the voltage is too high, too low or just right. 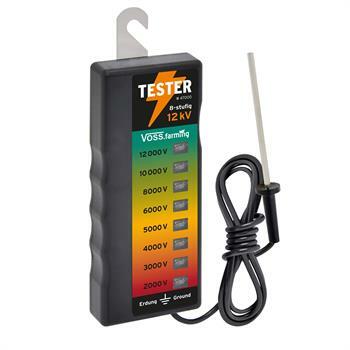 The fence tester has several levels to make it compatible with different shock strengths and devices. For example, professional testers and control units have six or eight levels. 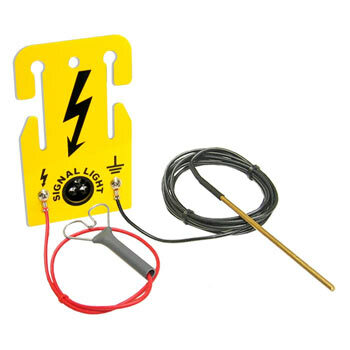 They are used to quickly and easily check the voltage of electric fences and do not require separate grounding. 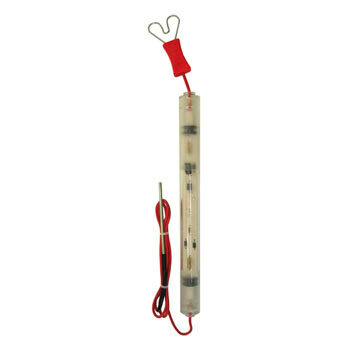 Electric fence testers are portable or can be directly attached to the fence. 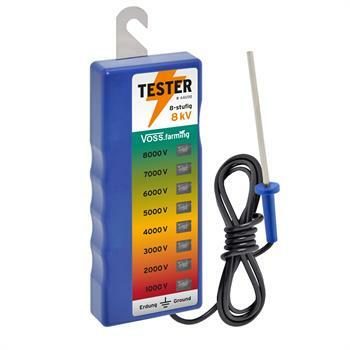 Electric fence testers operate with or without batteries, are equipped with protective housing and come with a long test probe made of stainless steel. 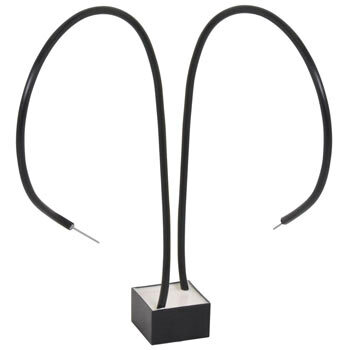 Quality products are characterised by a large display or a wide measuring range. 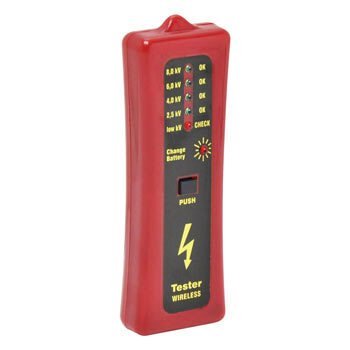 Digital fence testers are wireless.